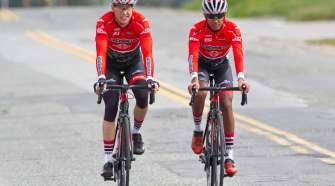 Travis McCabe became the winningest rider at the Tour of Utah after claiming his second victory on the third stage of Tour of Utah in a bunch gallop. 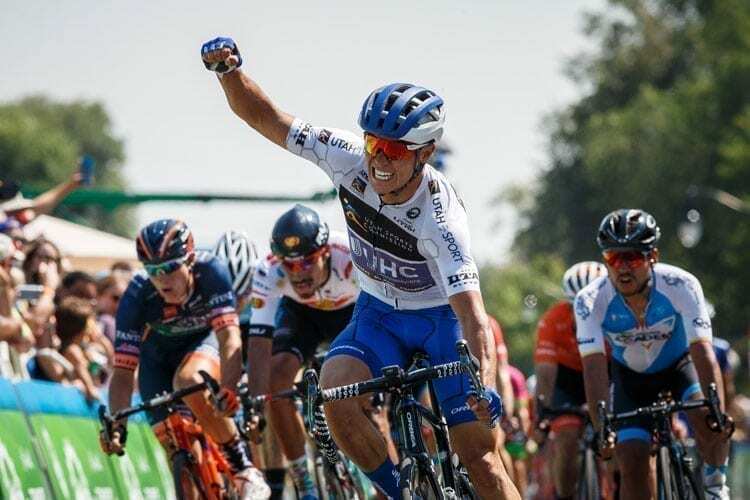 The UnitedHealthcare Pro Cycling rider sprinted to the line in Layton ahead of Jasper Philipsen (Axeon) and Edwin Avila (Israel Cycling Academy) after four hours of racing under the hot, Utah sun. Feeling confident in his kick, McCabe jumped with 250 meters to go and entered into a neck and neck drag race with Philipsen, eventually pulling ahead moments before the finish. At 188 kilometers, today’s stage was the longest of the tour. Endless water bottles couldn’t stop the salt from forming on the riders’ jerseys as they fought to establish a break in the opening moments. The team’s plan was to have representation in the break, because they knew if they didn’t, a lot of responsibility was going to be in their shoulders. It took almost 80 kilometers for a break of 10 to get going, but finally one took off, and breakaway specialist Jonny Clarke was part of it. 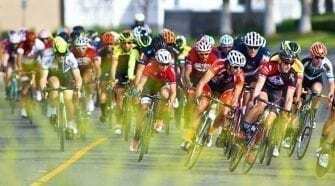 Clarke and Britton were the last riders from the breakaway to be caught with two laps to go, and from there Jelly Belly took charge until the young Hagens Berman Axeon team burst to the front for Philipsen. 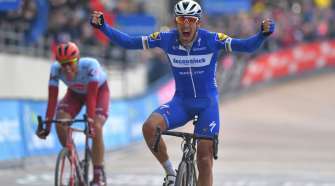 McCabe’s lead out rider, Seba Haedo was able to overcome the Axeon train and get to the front, but Philipsen jumped on the UnitedHealthcare Pro Cycling rider’s wheel, with McCabe right behind. After Haedo pulled off, it was a drag race to the line, with McCabe pulling ahead by a wheel length. Tomorrow’s Salt Lake City Circuit Race stage is another opportunity for the UnitedHealthcare Pro Cycling team to shine. At 114km, it’s a short, but lumpy affair around the metropolitan area.